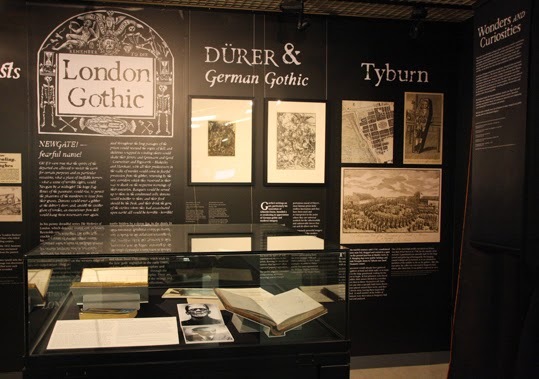 While Terror and Wonder: The Gothic Imagination exhibition at The British Library has its last day tomorrow, another exhibition called London Gothic is also on at the moment and what's more it is totally free to get in. From terrible crimes to gruesome legends, London has long been the backdrop to horrifying tales which quickly take root in popular imagination. Through court records which date back to the 17th century, explore dreadful crimes and brutal punishments, from witch trials and alleged hauntings to the spectacle of public execution at Tyburn (the west end of Oxford Street today). Uncovering the ‘gothic’ in many guises including architecture, London’s first ‘Goth’ club and the gothic imagination, this exhibition digs into the depths of London’s archives to present documents and images which record both fact and fiction, including manuscripts put on public display for the first time. 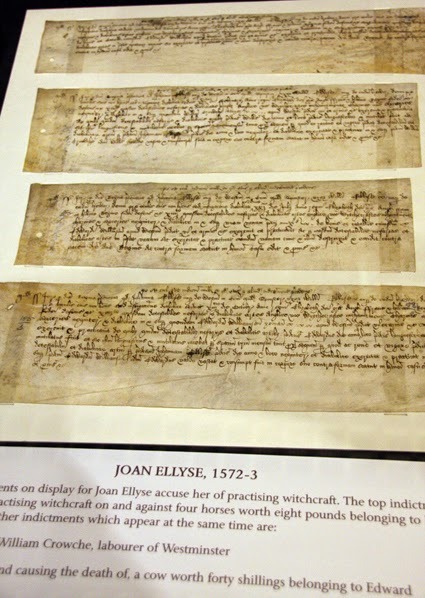 One of the display cases is devoted to witchcraft, with indictments showing accusations of bewitchments, enchantments and sorcery. You can see some of the documents in the photo to the right. 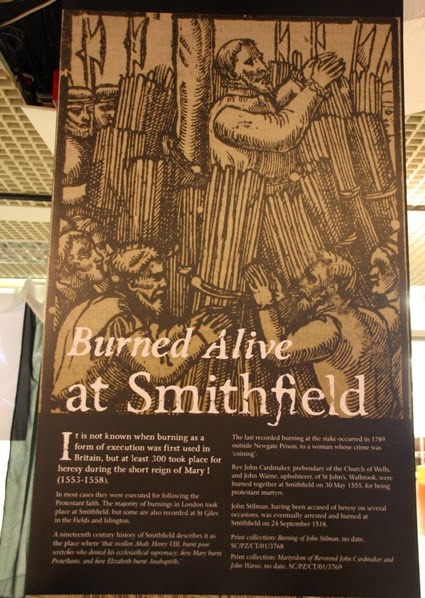 Of course the most severe punishment for witchcraft in England was normally hanging, not burning, so the picture on the left saying "Burned Alive at Smithfield" is not about witches being burnt at the stake, but those found guilty of crimes such as heresy. Another display case gives some of the history and background of the Rider-Waite Tarot, which was originally published in London. 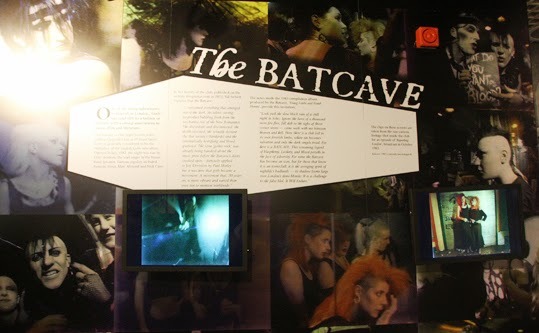 You can also enjoy details about seances and ghosts, film clips, theatrical posters, a gallery of Hogarth prints and even get to peek behind a showman's curtain to see a strange and fabulous beast described as a "mermaid". The LMA is open Monday 9.30am - 4.45pm; Tuesday, Wednesday and Thursday 9.30am - 7.30pm. You can find out more here.